Hairs are the gift of nature. They play an important role in the overall look and personality of a person. People do a lot of work to make their hairs look pretty and beautiful. Great hairs are loved by everyone. 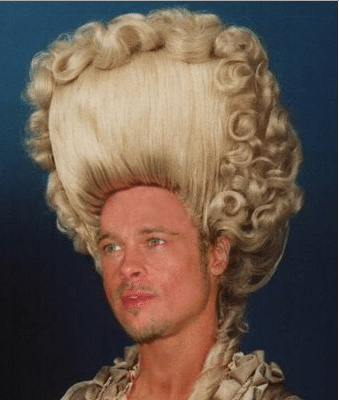 On the other hand, if you are unable to make proper hairstyles, it may affect your overall personality. There are hundreds of hairstyles. What one needs to do is to make a hairstyle according to his personality. There is a little difference in an amazing hairstyle and a weird hairstyle. You must know that difference. 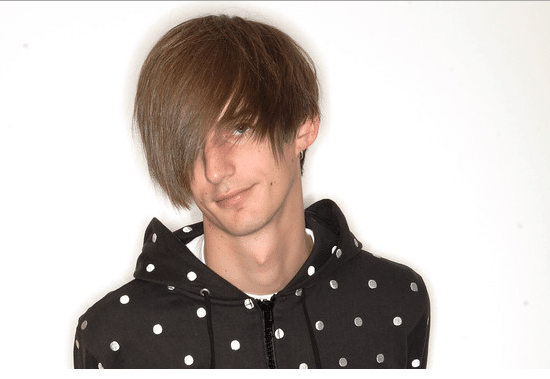 Below mentioned are the 1- weirdest hairstyles for man. It is your head man. Not the house of spiders. Are you looking to welcome the spiders or what? Sorry to say it looks really very weird. It has nothing to do with the style. There is nothing attractive in it as well. It is something that makes you look horrible. You are making people run away from you instead of getting closer to you. If you are thinking this style classy, you need to learn fashion. How can you make fun of fashion in such a weird way? If your hairs are covering one of your eyes, it is not a good style. It looks weird. Sorry to say but you need to do something classy, something that attracts people and grooms your personality. It looks like you have some injury or so in one of your eyes or you have a skin problem that you are trying to hide. The weight of the hairs is more at one side and less on the other side. Overall there is no such charm in this particular hairstyle. 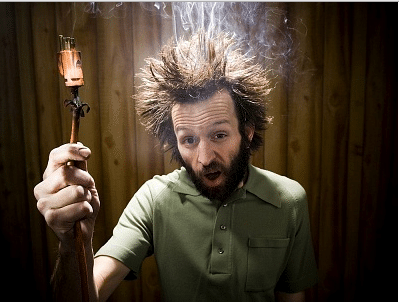 The electric shock hairstyle is not at all classy or fashionable. It looks ugly and gives the feeling that you are not at all happy from your hairs. If you want spikes, make them in a decent way that looks good instead of making them so much weird. Well, this is one of the weirdest things. What the hell is wrong with you man? You can see an unusual pose in the image above. If you haven’t noticed something odd, have a look at it again. You will definitely notice something fishy in it. These sorts of hairstyles are made for fun but instead of giving a humorous look and feel, it gives an ugly and irritating look, a look that is not liked by the people. You must know the limits of humor. 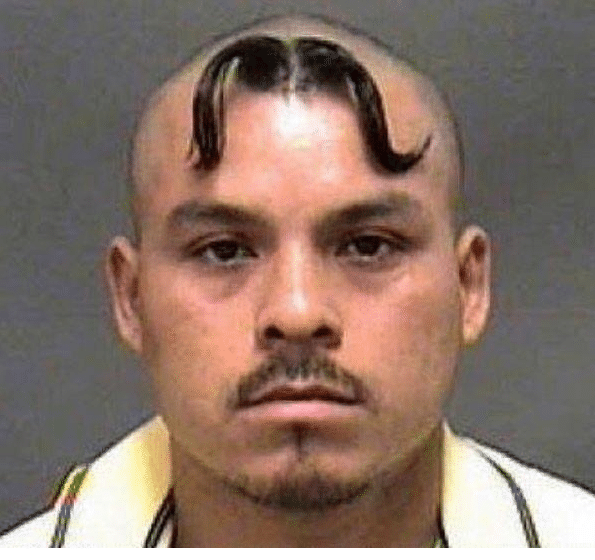 Isn’t one moustache enough for you man? There is one moustache for you. You must style that if you a moustache lover. You are not giving importance to the real moustache and growing a moustache on the head. It is not at all cool man. It is weird, much weird. Do you have some common sense? 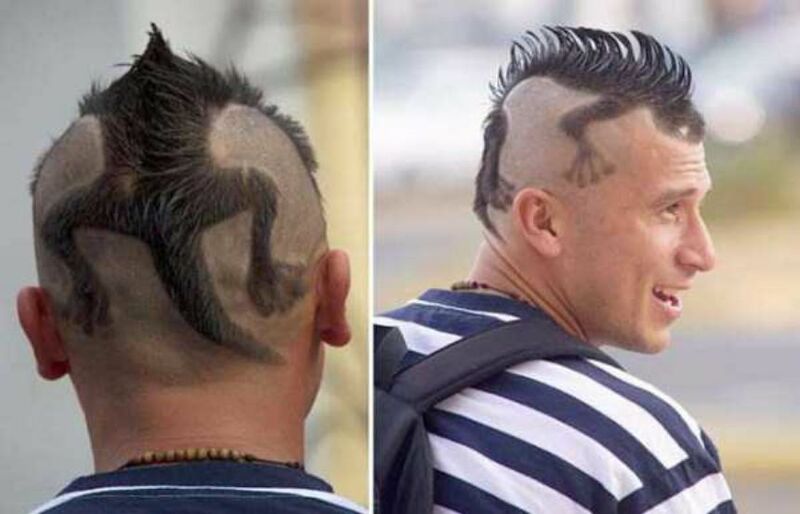 Well, I doubt after seeing this hairstyle. Now is this a bowl, an emo or a spike? In short it is something really weird and something that is irritating the eyes. How can people do such stupid acts? How is it even possible? How can one make himself look weird and above all stay weird? The giant puff and the old curls don’t look decent anymore. They are giving a weird look. It makes your head look very huge and results in giving a bad look. 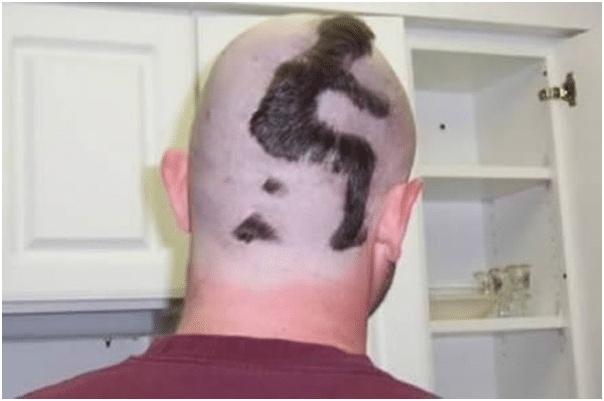 If you are thinking of going with this hairstyle today, get ready for some criticism and fun. People will make a lot of fun of you. If you have long hairs, go some decent and charming hairstyles if you want to feel good about yourself. Making such hairstyles will surely doubt your fashion sense. 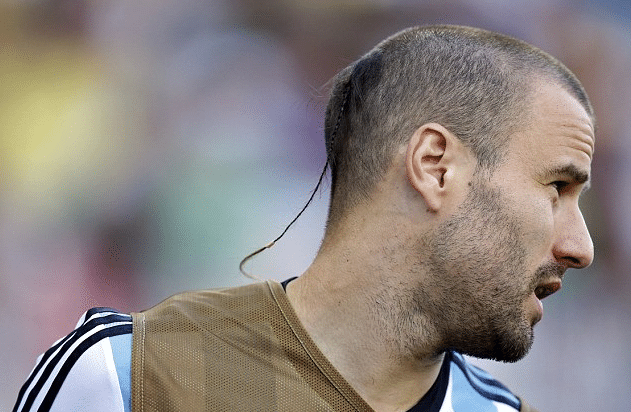 The side rat tail is something that is really very weird. It is not cool at all. Many of the people are going for this hairstyle but guys let me tell you that it is not at all decent or something you can call classy. A tiny tail seems as if something is stuck in your head. If you are having it, cut it immediately or look weird. Is that you head or a zoo? What are you looking to do and what are you feeling while looking at this hairstyle? It is not at all cool or something. 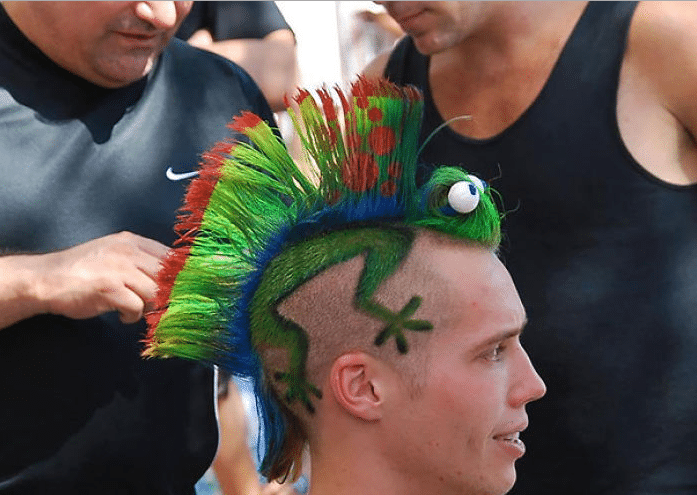 You need to be creative with your hairstyle and make it appropriate according to the theme. 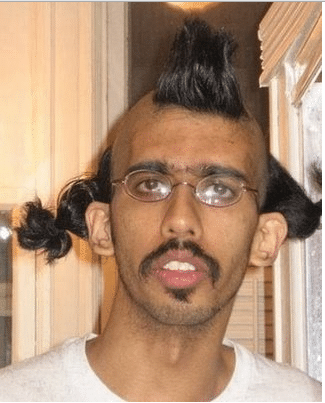 Such hairstyle not only looks over but also looks weird. 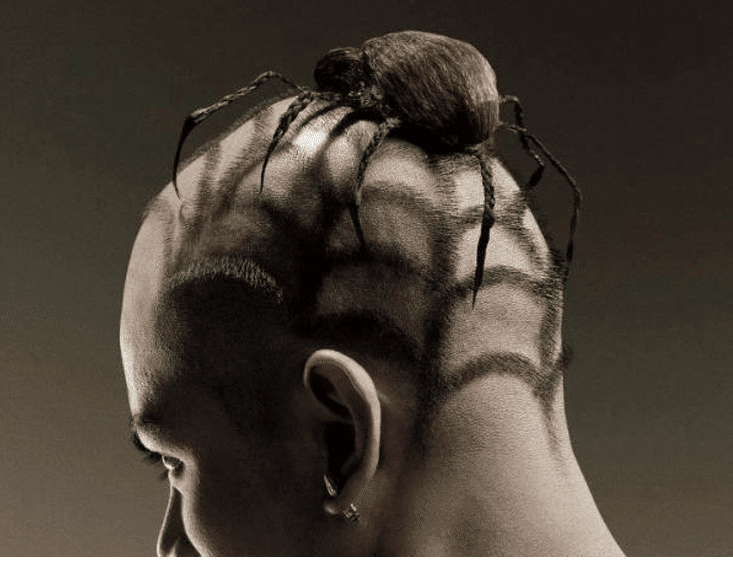 What the hell are you thinking while going for this hairstyle? It is simply nothing. If you don’t love your hairs get rid of them but don’t insult them in this way. The weird spike on the top and random curls on the sides and the remaining part is shaved. I mean what the fish is this? 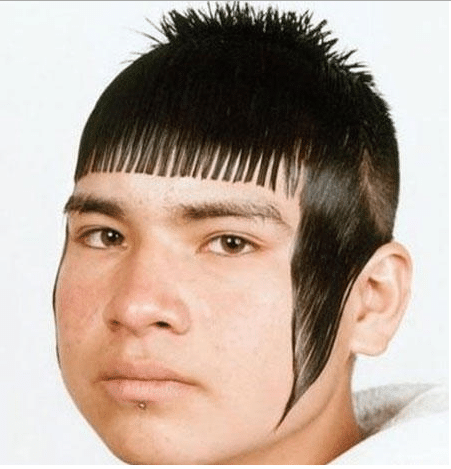 If you think you will look cool with such a hairstyle and people will praise you, you are completely wrong. People will make fun of you and will abuse you for that as well.